Yesterday, on the ABC radio, we heard some ladies had found a Dead man’s penny at the Longreach RSL Club. Well we have a bit of a story to tell about one too. A couple of Christmases ago our youngest, Angela gave Greg a strange present – it was a Dead man’s penny with the name George Ernest Sherwin written on it. George would be Greg’s great uncle and died in 1918 of his wounds in France. Well Greg was dumfounded to say the least having never heard of Dead man’s pennies before. It transpired that the manager of Mt Margaret Station and his wife had found the Dead man’s penny on the rubbish dump. Mt Margaret is near Eromanga and Quilpie in SW Qld. The penny is not in pristine condition having been burnt but it is bronze and did survive, the engravings are all still visible and it has no dents or scratches on it. Evidently the manager or his wife knew Angela through the work she was doing in the area at that time and as her surname was Sherwin they contacted her and gave her the penny. It was George’s brother who had worked on Mt Margaret many, many years ago, he must have had the penny in his possion. When he died from being run over by a train in Quilpie whoever was at Mt Margaret must have eventually thrown his belongings onto the dump and that penny was just sitting there all those years waiting to be found. If those people had not known Angela we would probably never have known about the penny and would not now have it in our possession. So thank you very much Anne Whiteman and Peter who recently passed away at a far too young age. Our condolences, it was a very tragic accident. And I’ve just remembered, it’s Anzac Day today, so quite fitting that I put this post up! Serendipitous! Wonderful rain at Kilcowera Station. This is Cardenyabba Lagoon, just east of the Shearers Quarters ,the creek that fills it is running very big after a wonderful 104 mls of rain over 2 days. We are very happy people. The lagoon has gone from bone dry to chocka block full! Fantastic for visitors who want to bush camp. The 2 little dogs and I walked down there this morning to check it out. Sooo happy!!!!! I was kinda glum about no water in it after having it full for 3 years, our visitors love camping there! And who wouldn’t when you get sunsets like this one? Outback Beds for all your accommodation needs! I thought you might like to know a little about Outback Beds an organization that we are members of! 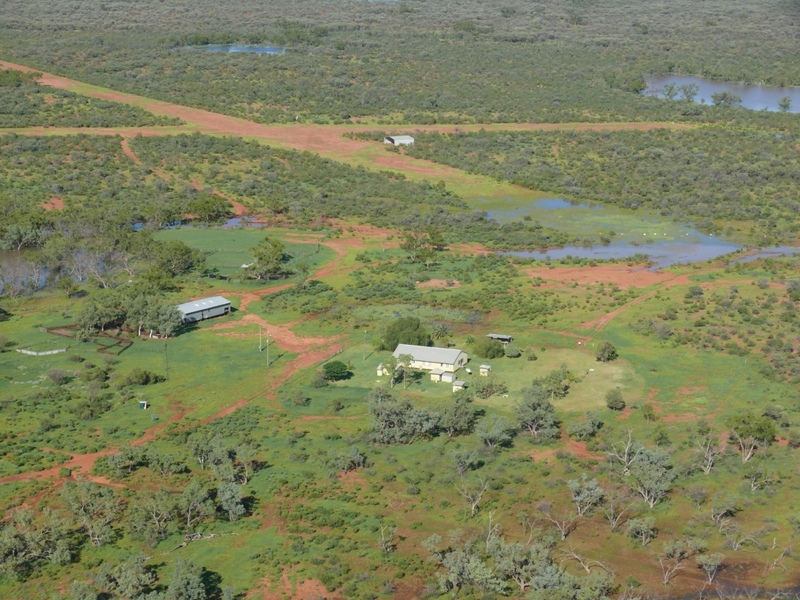 Outback Beds consists of a network of owner-operated farm stays and accommodation throughout Outback NSW and southwest QLD. 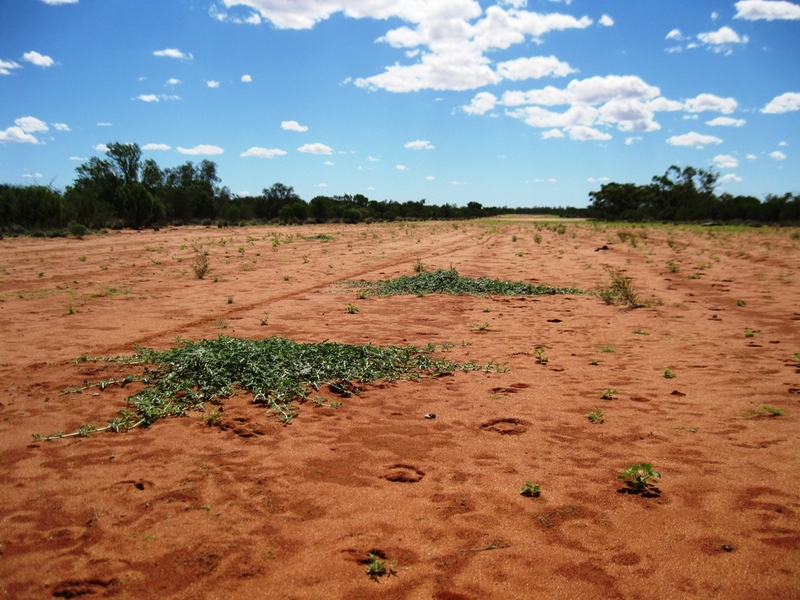 It was formed in 2002, the Year of the Outback, which was also a time of drought. The general aim is to bring together people who have a vision for diversified use of the land and to offer travelers an authentic Outback experience. OBB is a peak body representing Outback NSW and SW QLD, including the famous Darling River Run and the Dowling Track. All positions within the organisation are served on a voluntary basis. The yearly AGM, held in the quiet month of February, is a great time for catching up, meeting with old friends and the opportunity to meet new members/friends that come to the meeting. Often there will be industry representatives at the meeting to give members insights, tools and tips about the hospitality business. The website http://www.outbackbeds.com.au contains much useful information for people contemplating a visit to the outback region. The logo and brand, which features a black cockatoo on a bed-head, and the slogan “Stay in the outback with friends” is becoming well known. OBB are a high profile group and still growing in this, their 11th year in business. The free Outback Beds Map is very popular and well used by most of the travelling public it is widely available in most visitor info centers, roadhouses, cafes and shops. OBB also have promotional material such as stickers, pens and pads and polo-style tops, all with the OBB logo. 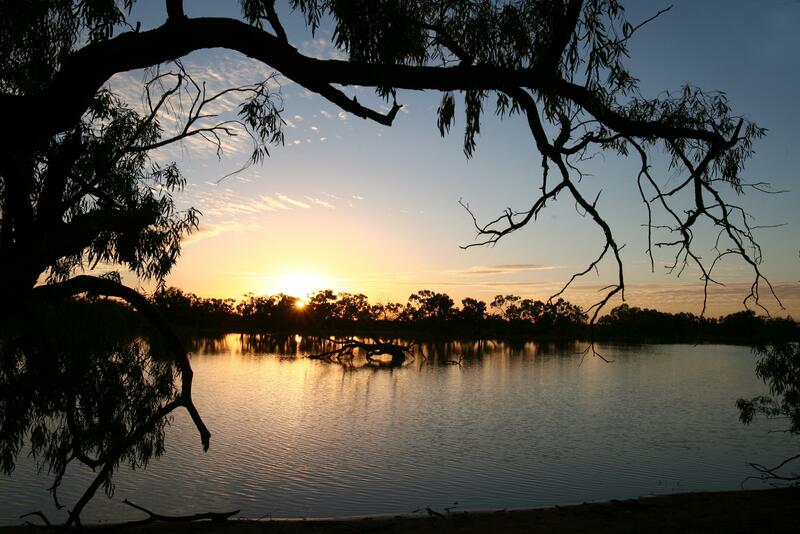 A recent and most exciting development is that OBB are now partnering with National Parks (NPWS) to promote accommodation in Far West and Western NSW. This will take place in the form of an Outback and Rivers Map. The NPWS 2013 campaign includes this map, which will locate National Parks, accommodation and camping facilities (both within the parks and Outback Beds), Visitor Information Centres and touring routes to link visitor travel in the region. Outback Beds have won many awards which led to TV commercials and print media advertising. OBB have a Freecall number 1800 005 298 where prospective visitors can make enquiries and request brochures and maps. We love being a part of this network, all members work together to help each other out as well as helping our visitors find another great place to stay while they are in our area. Little old Toni has had a busy week! Benanga Creek flowing into Lake Wyara , March 2012 at Kilcowera Station. Driving home yesterday the radio presenter was telling her audience that she had had a bad week, a week not to be repeated. She asked if her listeners would like to call in and share the good or bad stories of their last week. So I got too thinking about my week and realised that I had had a rather interesting one. So I will inflict it upon you too!! It is still very wet around here and Greg has not been able to check on the agistment cattle in the Lake Paddock as he can’t drive out to the east. Couldn’t even ride a bike out there. 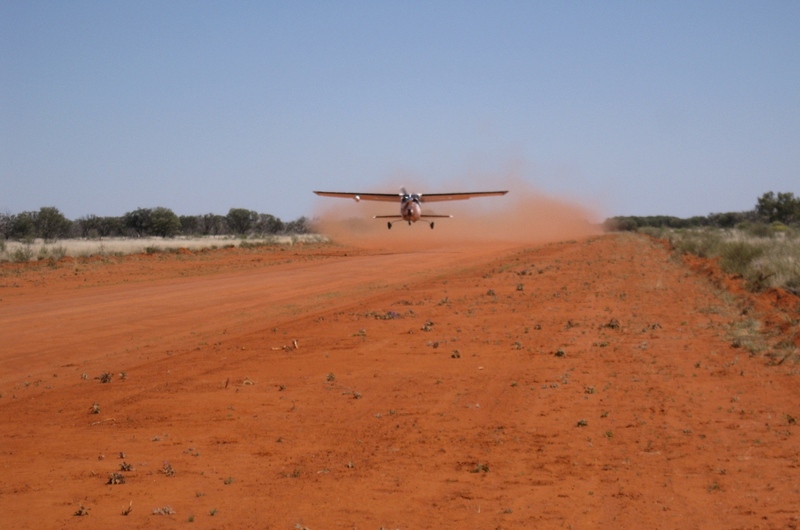 The airstrip had dried out sufficiently for me to take off, so I happily went to check things out in the little Skyfox. Saw lots of cows, 4 bulls fighting and hanging around a trough which had no water in it. Surely the idiots will poke off and find a drink somewhere! There is water everywhere but in that trough! The creeks out there all ran very big and the fences have been washed down again. But the cows have not gone out that far – yet, so hopefully they will stay on Kilcowera and not wander onto the National Park or the neighbours place. Greg will get out there as soon as he can to fix the fences. I could not see any cattle tracks on the wrong side of the fence or cattle for that matter. What I did see however was thousands of pelicans on the islands on Lake Wyara, so they are back again, for the third year in a row. Oh thank God that rotten, horrible drought is over! I changed the oil in the plane when I landed and helped to feed the mickey bulls who are waiting to be put on a truck for the saleyards. Tuesday saw me tootling up the road to do my weekly cleaning job for the elderly couple at Wathopa, an 80 kilometre round trip. I swear I do a better job on cleaning house there than I do here! That afternoon I was cleaning the quarters trying to get things ready for our visitors. And repainting signs. Wednesday – Greg drove me into town over the flooded and washed out Gerrygheroo Creek crossing and I caught a commercial flight to Toowoomba to pick up my abandoned mini bus. But it wasn’t all smooth sailing as there was a storm over the TWBA airport so we had to land at the Oakey Military Base and be bussed to TWBA. Thursday – the fun part, shopping all day! Buying such things as a new TV as the one that we had can’t go digital. Oil filters, batteries, groceries, beer, wine, and a haircut were all on the agenda. And then there is the packing of the bus, after all if you just keep throwing the stuff in you won’t get as much in, as you would if you are meticulous about it. So I am. I also went to a tyre place just to check that I had the correct amount of air in the tyres as I have a big load in the poor little thing. Friday – I took the bus to a radio place and had a UHF radio installed in it. Greg has been going to put one in ever since we have had it (a few years now), I buy the radios off ebay but they seem to get put into some other vehicle or bike. So it’s done now! More shopping, then drive to Dalby. Friday arvo I am buying fruit and veg, and meat (yummy things like pork and chicken and fish and lamb – we get sick of beef!) Just on dark and I have nearly finished packing the bus up, cold stuff in, with lots of ice blocks and the eskies taped up ready for the drive home tomorrow. Keep checking the weather, the monsoon trough is heading further south every day and more cloud is coming in from the west, will I make it home before it rains again??? Saturday – Leave Dalby at 5am and drive straight through to St George, a quick stop for breakfast (a pie!) and to deliver our new brochures to the Visitor information Centre. More deliveries are made at Bollon, Cunnamulla and Eulo, some rain on the way but no worries and no water over the road to speak of. The last 100 kilometers on our dirt road was a breeze even though I was seriously tired. The contractors are back on the job at Gerrygheroo, I hope they get it fixed this time, they have been working on it for months and then it rains and washes the crossing away again and they go away for two weeks and then it rains again….and the bloody road is closed once more – we don’t get any mail, visitors can’t get here, we can’t truck our cattle and so it goes on……………………..and on. But all up a good week!